[. . .] Bayly was also a brilliant global history comparativist who, in a series of connected monographs, in particular The Birth of the Modern World (2003), offered influential reinterpretations of the patterns of convergence in world history between 1750 and 1900. He died having completed a 20th-century sequel, and with plans for a new book of essays on world historians. Bayly was a provocative undergraduate lecturer and mentor of dozens of doctoral and post-doctoral scholars. He mixed a rare capacity to understand what others were trying to do, sometimes before they did, with a respect for others which made him able to pay attention. He was a kind man, offering advice and practical help when it was needed. He strongly believed that historical research was a friendly conversation across generations, if at all possible over plentiful wine, and he treated his younger colleagues and students as equals. This made possible his extraordinary gift for intellectual collaborations. The most enduring of these was with Susan, the Cambridge historian and anthropologist whom he married in 1981, and with whom, he joked, he ran a permanent seminar over the dinner table. As striking was his ability to share work with the next generation. He wrote two books on wars in Asia with his former student Tim Harper, while editing books with Peter Bang in Copenhagen on comparative imperial history and with Jens Hanssen in Toronto on Hourani. He spent his last decade in a conversation with Shruti Kapila in Cambridge, and later Faisal Devji in Oxford, towards a new Indian history of political thought. Though his work ethic was stakhanovite, his instincts were epicurean and romantic. Bayly was fond of good food and drink, particular mixed with animated conversation. He collected paintings and sculpture, and loved Italian opera, in particular Verdi. He and Susan spent two weeks each summer in Venice. He had a lifelong love of animals, which extended to his being sighted in Cambridge, more than once, in the early morning, shepherding duck and ducklings who had strayed into the city back towards the river Cam. A master of the historian’s craft Bayly could weave the most fascinating social history from what could go unnoticed as mundane and ordinary bits of information. His pathbreaking book Empire and Information: Intelligence Gathering and Social Communication in India, 1780-1870 alerted us to the fact that British colonialism in India was entangled in webs of formal and informal information networks that welded pre-colonial India together. As he went on to lay out the long history of India’s information ecumene from the early medieval period he shifted the focus from official policy and State actors and put the spotlight on people and communities who worked in the shadows of Empire. Merchants, pundits, barbers, midwives, holy men and ascetics who spanned across the length and breadth of the Subcontinent suddenly grabbed headiness as critical agents who made both the Mughal and the later British rule possible. Bayly’s influential writings on the role of social groups and communities who made the Empire possible and whose long histories he traced to the pre-colonial Mughal society had serious implications for the way we studied modern Indian history. It was difficult now to talk of communalism and nationalism without referring to its long history and origins in the pre-colonial past. His more recent interests in global history and the new intellectual history of the Subcontinent urged South Asianists to look beyond the borders of South Asia and carve out a more connected history of the Subcontinent. 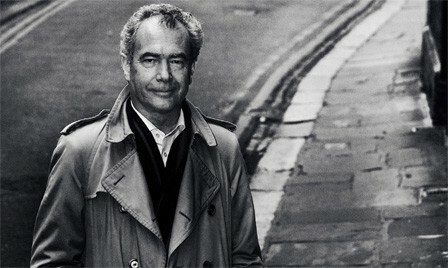 One that was not only entangled in local politics and society but also hooked on to global currents in Asia and Europe. His untimely and tragic death in Chicago last Sunday, April 19, is a huge blow to South Asian studies. He was undoubtedly the tallest of his generation. His unparalleled intellect and ability to draw connections across Empires and political cultures was enviable. In tribute, Cambridge University Press has made Professor Bayly’s articles free to download. A tribute from the Scroll Staff. Mukul Kasavan in the Telegraph India. Srijana Mitra Das in the Times of India. Timothy Nunan on behalf of the Toynbee Prize Foundation.